​"As we are in thre process of changing email providers, you may experience problems sending emails. The process can take up to 24 hours so please re-send emails after that time if they bounce back." We will be Open the following hours over the Easter Weekend. Good Friday OPEN 10am - 4pm. Easter Saturday OPEN 9am - 6pm. Easter Sunday CLOSED. Easter Monday OPEN 10am - 4pm. 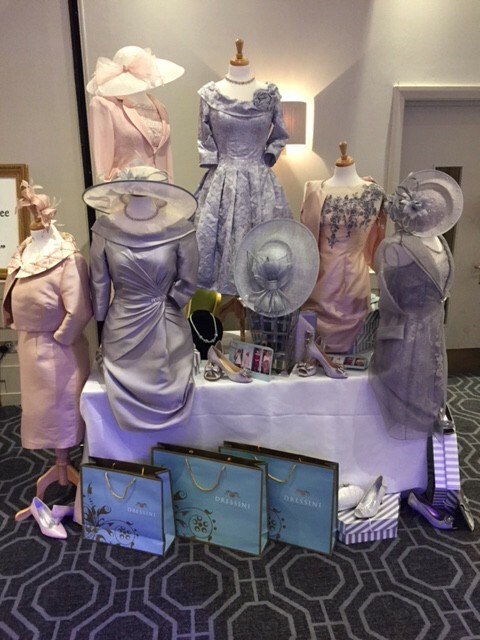 ​Dressini stand at Sketchley Grange Wedding Fayre, featuring John Charles and Luis Civit outfits. It was great to meet all you lovely ladies looking for wedding outfits, we look forward to seeing you in the shop in the future. ​We hope you enjoyed the Dressini stand showcasing Ian Stuart, John Charles and Linea Raffaelli Collection. ​Another busy day on the road at De Vere's Staverton Park Hotel Wedding Fayre near Daventry.Collections on our stand from Marfil, Ian Stuart, Irresistible and Mon Cheri. Here at Dressini we are constantly planning the next Seasons Collections. Denise is currently in Barcelona viewing the preview collection for Prononvias 2018. Denise is wearing a Mascara gown and Joseph Ribkoff wrap at the Pronovias Gala Dinner.